You make an investment when you buy hearing aids, so take measures to keep them safe as you hit the road. Often times vacations are not as worry-free as you would hope. Making arrangements to care for your hearing aids will give you one less thing to be worried about while traveling. What type of special handling do your hearing aids need while you are on the road? First of all, you will need to pack a cleaning kit. Keep cleaning your hearing aids the same way as you would when you are at home. A brush or pick is included with most quality brand cleaning kits. You should also bring a soft dry cloth to wipe the surface down and a carrying case to store them in when you are not wearing them. It’s a smart strategy to bring along extra batteries, too. It’s not a bad idea to bring a backup set since you will most likely wear your hearing aid more than you usually do. Don’t forget about that replacement charger if you have a hearing aid with rechargeable batteries. Your extra charger should be put somewhere separate just in case one gets lost. Prior to packing your car up check twice to be sure you packed all the things you may need. An easy to get to spot should be chosen to put your hearing aid products in. Carry on luggage is the best spot to keep these items if you are going on a plane. Before You Leave be Sure You Get a Hearing Aid Checkup and Cleaning Done by a Hearing Aid Professional. Your hearing aids really should be professionally tuned and cleaned at least one week before you go. Properly working hearing aids will make your travels safer and much more pleasant. 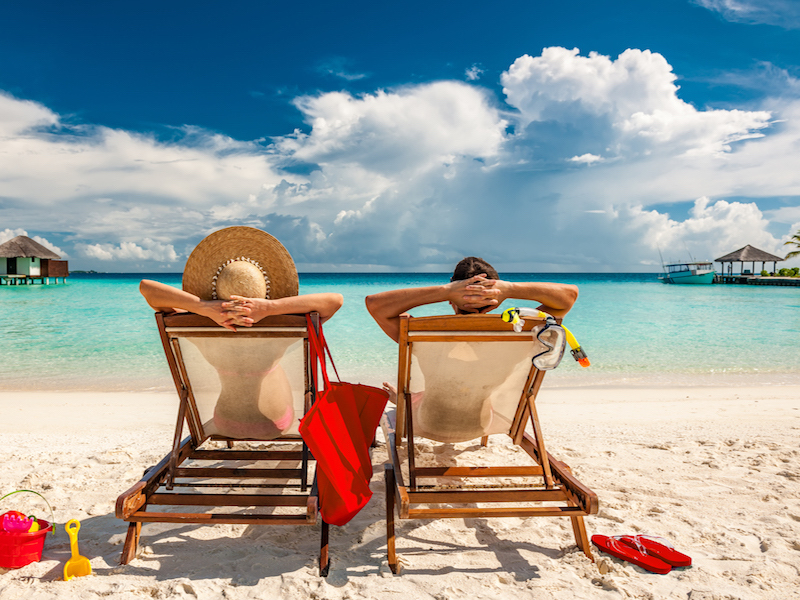 You may have to bring your hearing aids in for emergency service when you are on vacation so be sure to consult your retailer regarding any warranties you might have. Don’t inadvertently void the warranty by skipping something. Take some time to learn how to file a claim. It won’t hurt to ask if there is an office near where you will be staying, also. Or look up hearing aid repair or retailers on your own. This way you know where to go if you need quick service, a new battery or even a replacement hearing aid. Considering all the changing security specifications, going to the airport is often puzzling. One thing you need to be aware of is to keep your hearing aids in while going through the security checkpoints. Inform security that you are wearing them as you approach so that they know ahead of time. most of the time, you probably won’t have to remove them when you step through the metal detector, but adhere to the instructions of the security agent. You are also allowed to use your hearing aids on board the plane. Usually, you may need to turn off cell phones and mobile devices while taking off but your hearing aid can stay on. You may find that your hearing aids don’t function as well on the plane, so be prepared for that possibility. If you are having trouble hearing, use visual signs to let people know. If you can’t understand what someone is saying, try cupping your ear to clue them in. Swimming and humid weather go hand in hand with vacations. Even if you’re not planning to go swimming, that doesn’t mean humidity is not still a potential problem. A dryer is a preventative measure worth having year round, but it’s particularly important when you’re traveling. Different features work best in different settings. For instance, you’ll need to filter out background noise in a restaurant or at a theme park. You will have more fun at the beach when you use outdoor settings. You can’t know for sure what feature to take advantage of if you are not familiar with how your hearing aid works. A remote microphone will come in handy in loud settings, when driving in the car, or if you are on an airplane. You simply clip the mic to whoever you are talking with to enhance their voice so that you can chat freely. Usually, popular vacation venues accommodate for the hearing impaired. Since you won’t be wearing your hearing aids during the night you will want to take advantage of that. Smoke alarms which shake the bed or have flashing lights should be available to you. Ask if they have special phones for the hearing impaired and televisions with closed captioning. Going on vacation is fun, but it can be crazy, too. Deal with your hearing aids before you leave, so you can relax and enjoy your trip. Schedule an appointment for a tune-up today.